PUNTA GORDA - BURNT STORE VILLAGE - GREAT CORNER LOT TO BUILD HOME ON AND IT IS NOT IN FLOOD ZONE AND THERE ARE NO SCRUB JAYS. WATER AND SEWER ARE AVAILABLE. 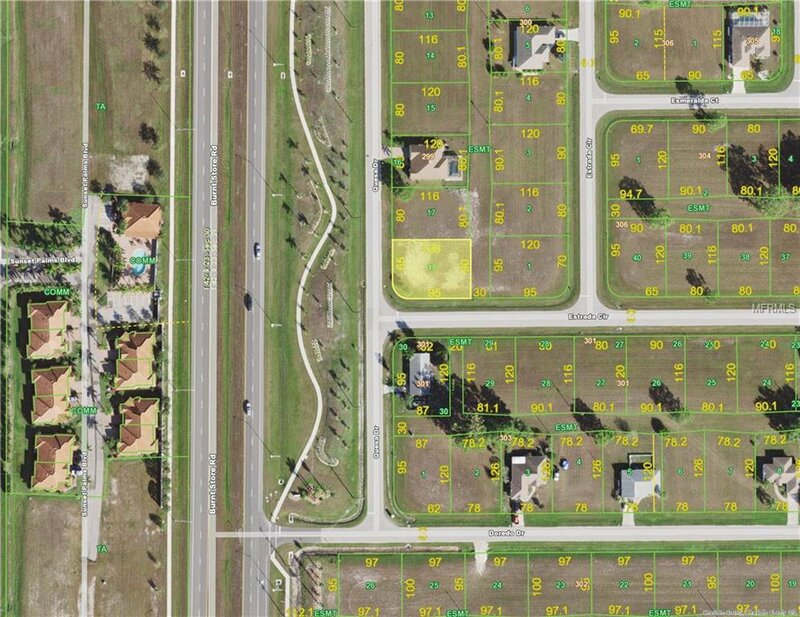 THIS COMMUNITY IS BETWEEN CITY OF PUNTA GORDA AND CAPE CORAL. YOU WILL BE ABLE TO ENJOY ACTIVITIES BOTH PLACES!